The Feng Shui Design Group ( http://www.fsdg.net ) provides consulting services across the U.S. and Canada. Associates practice either the Black Sect or Traditional methods and are considered to be leading professionals in the field. Although the Academe does not teach the traditional methods we have done our homework and highly recommend Synergy Feng Shui ( http://www.synergyfengshui.com ) as the best of the best for your traditional feng shui needs. The Feng Shui Academé ( http://www.fengshuiacademe.com ) is dedicated to providing authentic, undiluted Black Sect Tantric Buddhist feng shui knowledge to the public. Consultations for homes, businesses, community developments and new constuction builders throughout the United States. Discover the worlds of Asian Healing Arts and Western science of the mind and body to feel well, achieve balance and experience internal harmony. Eliminate daily stress, relax and use your mind and body movements to heal yourself naturally. Relieve chronic health conditions and strengthen your body against diseases. Qi Mountain wants to share with you the healing promises that lie within you and can bring you an extraordinary wellness through your own natural self healing ability. Instruction of Qigong and Healing Tao Practice based on Universal Tao System created by Master Mantak Chia. Medical Qigong Group Practice: Chinese Taiji Five Element Qigong created by Master Binhui He of World Institue of Self Healing. One on One Coaching: Stress Reduction, Work/Life Balance and Mental Clarity and Performance Productivity by HeartMath ™ Tools. Meditation Classes: Teaching how to transform negative stressful events into positive flowing energies working in your life. Weight Loss Qigong Workshop: The practice allows you to Stay Young, Beautiful and trim your waistline. Thai Yoga Therapy: A unique blend of yoga, Ayurveda, traditional Thai medicine, and acupressure. The purpose is to create a harmonious balance of the body, mind and spirit. Sundo Breathing Meditation: A Korean physical and spiritual discipline, using specific postures and breathing techniques to develop inner focus. Sundo brings tranquility, harmony and wisdom. Tai Chi: Traditional Chinese exercise combined with mental concentration and sequence of movements. Tai Chi practice offers improved health, flexibility, strength and self awareness. Introducing in September 2007: Qi Motion, a unique gym for the renewal of the mind, body and brain. This structured mind-body-brain training system is uniquely designed to provide a combination of very easy, relaxed mind and physical exercises. Your journey begins as you lie down in the Qi Capsule Far Infrared Therapy with light and sound of Creative Visualization Relaxation, followed by the body, mind and movement exercises of Qi Lounge and end with whole body vibration technology of Qi Vibe. The Radiant Heat Accelerated Cardio Exercise (RHACE) Room will be available for any type of Asian Healing Arts such as Tai Chi, Qi Gong, Sundo, Zen Yoga, Breathing Meditation, or even basic stretching. Two smaller, but more intense Far Infrared Therapy rooms will be available for healing and detoxification. 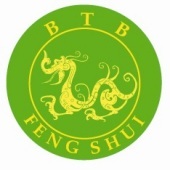 The American Feng Shui Institute and the Imperial Feng Shui School. My goal is to improve your health, wealth, relationships and overall well being. The services I provide can include assessments of your home, office and garden. 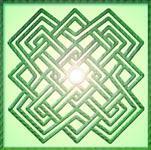 I also provide I-Ching readings and incorporate it with your feng shui environments for personal success. I specialize in Feng Shui for newcomers to Asheville, NC and Western NC, Long Distance Feng Shui room designs by telephone and Feng Shui Coaching (SM). "Stop worrying and start succeeding! "Have a Feng Shui Coaching session and experience electrifying results with this state-of-the-art technique to overcome problems you previously thought insurmountable. Feng Shui Coaching is GUARANTEED to CHANGE YOUR LIFE FOREVER. Learn Feng Shui principles through online teleworkshops, ebooks and live lectures available through my website. Foremost provider of education in Feng Shui and the Black Sect tradition. Feng Shui teaches us how to design and arrange our surroundings to achieve maximum harmony with our environments, be they natural or man-made. It is a combination of mysticism, architecture and common sense, spanning a range of Chinese and Tibetan thought from Taoism and Buddhism to rural and folk magic, shamanic and wisdom teachings. This is a rare opportunity to gain professional certification as a practitioner in the Black Sect Feng Shui Tradition as developed and taught by Professor Lin Yun, the foremost Feng Shui master in the West, whose advice and oversight informs the program. - This pioneering, state-of-the-art, comprehensive and thorough Feng Shui education program was formed at the request of Professor Lin Yun, and produces genuine, highly qualified experts in this ever-growing field. - Students receive individual mentoring throughout the entire program. - Students also each receive an at-home visit from their mentor-teacher, who will provide a complete Feng Shui analysis of their home. - Students are invited, and encouraged, to attend up to 60 mentor-led on-site Feng Shui training consultations. - Our program offers the support of an ongoing community of teachers and peers during and after the training, as recent graduates set up their businesses and start on their new paths. Many graduates of the program are now prominent Feng Shui practitioners and some have even become noted authors in the field. 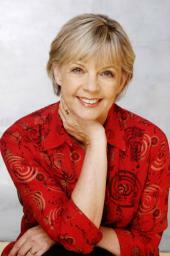 Carole Hyder is an internationally known Feng Shui teacher, author, lecturer, consultant, trainer. 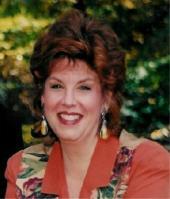 She has studied and utilizes both Black Sect and Compass schools of Feng Shui. She is president and founder of "The Wind and Water School of Feng Shui" in Minneapolis, MN, and president and founding member of the Feng Shui Institute of the Midwest. Chinese Astrology gives me insight so that I can help my clients in many ways. As an emotional intuitive, Four Pillars Astrology provides the vehicle for guiding my clients to find their purpose. It helps to make peace with the past and find the treasures in their future. Feng Shui gives an additional advantage by manipulating our environment to support our every endeavor. 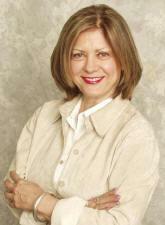 Renae is certified professional Feng Shui consultant, Real estate agent, and healer of hearts and homes. She is founder of the Conscious Design Institute and Conscious Design Magazine promoting and teaching about Feng Shui, Sacred Geometry, Space Clearing, Green Design, Color and more. She has been dedicated to making the world a better place in any way that I can offer positive change and empowerment to people. Her outreach has consisted of International Feng Shui and Conscious Design conferences and the popular Conscious Design Magazine. She is a Conscious Real Estate trainer with NJ Certified CEU courses and guides people into buying and selling healthy space. Her training in Feng Shui, Reiki, Space Clearing, Aromatherapy and Color has allowed her to facilitate her Conscious Design vision "Healthy Space creates Healthy People". The EAST COAST Academy of Feng Shui Practitioner Certification Programs are designed to give the student a solid foundation in Feng Shui principles for both residences and business. We incorporate a hands-on approach with an emphasis on cultivating your ability to feel and move energy in physical environments. Students will explore the ancient roots of this great art and science, from a Western perspective that is easy to understand and apply. You will learn the secrets of how these principles can be pragmatically applied to help direct the positive flow of energy into your lives and the lives of your clients. Classes are kept small to allow for a personalized learning experience. The programs integrate a combination of lectures and practicum’s designed to give the student real-life situations within the support of a classroom setting. We offer six day intensive classes in Basic Level Feng Shui and Environmental Health (EMF, EMR, indoor air pollution, VOC), mini workshops, and private consultations. 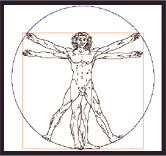 Students study Feng Shui, Building Biology, and/or Integrated Energy Therapy (angelic) or Reiki. Chakra balancing, dowsing, intuitive, color therapy, and crystal workshops available. Advanced through Master Level classes and workshops are available. Participants receive topical hands-on training. See our website www.3eqfengshui.com for further information. 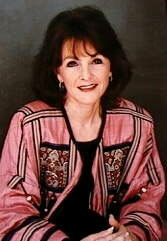 Charlene P. Weaver is director of the Feng Shui Academe and principal of the Feng Shui Design Group. 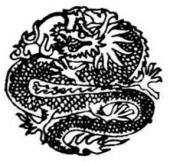 The Feng Shui Academe ( http://www.fengshuiacademe.com ) is dedicated to providing authentic, undiluted Black Sect Tantric Buddhist feng shui knowledge to the public. Charlene personally provides consultations for homes, businesses, community developments and new constuction builders in Arizona, California, Washington, Oregon and Idaho. 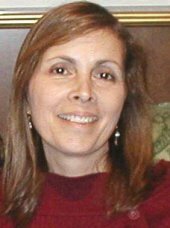 Feng shui consultations, presentations and instruction using compass method and Black Sect by experienced longtime Midwest pioneer, Pam Kai Tollefson. I also have a Milwaukee location: 129 W. Brown Deer Rd Bayside, WI 53217 414-228-9877. Commercial and residential Feng Shui consultations. Offers seminars and instuction in Feng Shui, Clutter Management, Stress Reduction, People Reading and Intuition Development both privately and for University of Texas Informal Classes, Eanes Community Education, and Austin Board of Realtors, Shenandoah University (WV), Hagerstown Community College (MD)and various other venues. Available for custom seminars, public speaking engagements. Featured expert for Princess Cruise Lines, KLRU television in Austin. Authors a Feng Shui column in The Homesteader, an Austin, Texas newspaper. Serving Austin,Texas, Washington, D.C., Northern, VA and Maryland. Offering Practitioner Training in Feng Shui and Holistic Education. sustainable , non-toxic, fair-trade, natural, contemporary, fun and especially designed for healthy living. Furnishings for eating, sleeping, bathing, living and working to enjoy life. We also offer vital space consultations for healthy dwellings, as well as seminars and talks to greener your lifestyles.